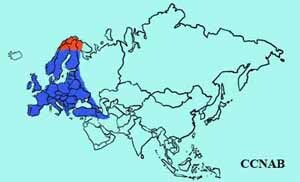 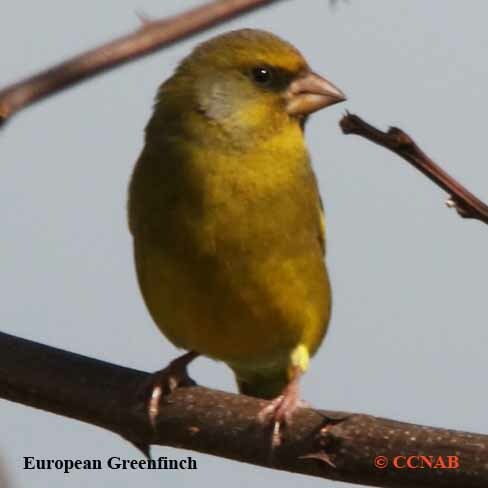 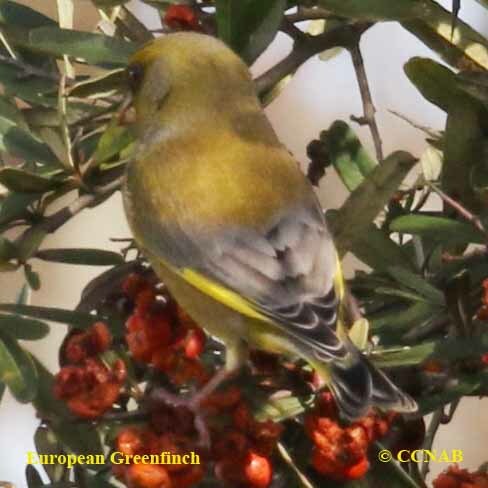 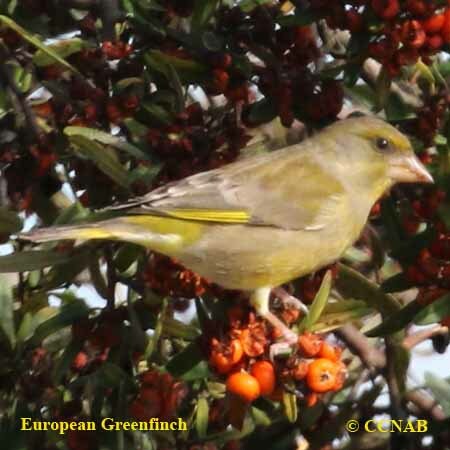 The European Greenfinch is similar to the Oriental Greenfinch seen in Asia. 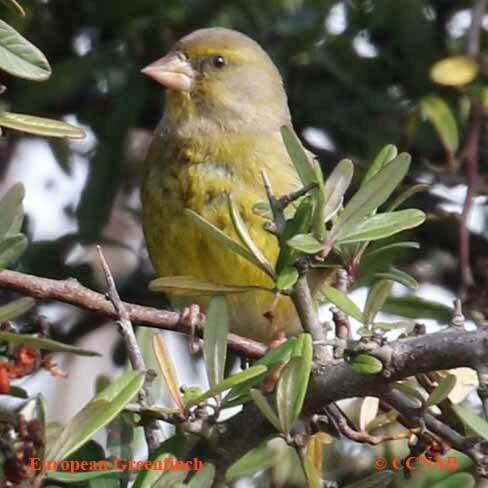 These are two different bird species. 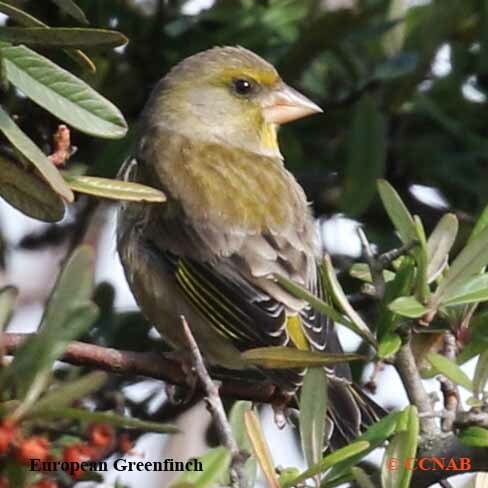 These finches have been identified in North America, but because they are known as captive and cage risen finches, they are not recognized as a wild bird in North America. 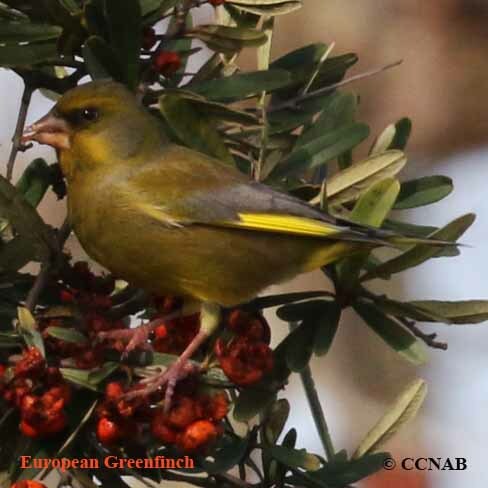 They are thought to be escaped birds, and not listed on the ABA.